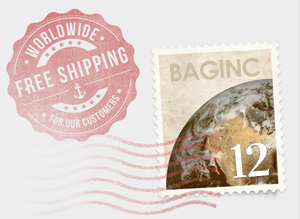 For orders that are greater than or equal to $100 USD, standard shipping is free, regardless of global destination. For orders less than USD 100, Standard shipping costs a flat rate of $9.95 USD and is made using EMS. On average, standard shipments arrive within 6 to 7 business days after order has been placed. Gift wrapping is free of charge! 2-day Expedited shipping is available on all orders, regardless of the order's total and destination. Expedited shipping costs $20 USD. DHL is used as the Expedited shipping carrier.